Motion sickness occurs while riding on any type of land, water-based vehicle. Flying can also cause the dilemma. The condition commonly starts with nausea, which progresses to dizziness and vomiting. If the illness does not immediately subside, afflicted individuals run the risk of becoming dehydrated. There are some tips that sufferers might try to prevent symptoms. Four-wheel drive can seem like a godsend when you're driving in rough terrain, but people don't always know when and how to use it. Here's a quick guide. Four-high or 4H is for roads that are slippery due to rain and ice but are otherwise smooth and level. 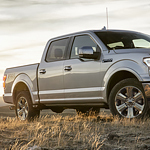 It will allow you to drive close to normal speeds without losing too much traction. Truck cabs come in a few different styles, and it's important to know which one you want if you're in the market for a new truck. Here's a quick guide that should help you. The standard cab is what most people imagine when they think of a pickup truck. It's small, with two doors and one row of seats, but it also has a large bed and can be used to haul large loads. When you are trying to get a car with a dead battery going, it's time to try jump starting the vehicle. You'll need a car with a good battery to do this. Get both cars as close together as possible so that the jumper cables reach. 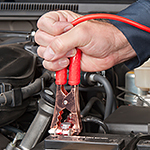 Your jumper cables are black and red, and will connect matching terminals on both batteries. Want to get the five-star ride every time? For those who do Uber and Lyft, you want to choose the right car that will make you the most money when you’re on the road. This comes down to a few different factors, such as size of the vehicle, year and make, as well as fuel efficiency. Obviously with hybrids and electric vehicles, you’ll be able to get more fuel economy. A vehicle roof rack system can be an invaluable tool when traveling. This additional storage option is designed to free up precious space within the cabin while still allowing for the safe and secure transport of all of your belongings. We want to make sure that you know how to safely and most effectively use this innovative system to retain the value of your vehicle and protect your cargo. Before you attempt to affix the luggage to the rack, be sure to measure everything to ensure that you will have a secure fit. If you've taken the step to invest in a vehicle, you should probably think about some different ways that you can prevent your vehicle from being stolen. Even with vehicle insurance, theft isn't something any vehicle owner wants to deal with. Let's take a look at what you can do to protect yourself. Don't leave valuables in sight of someone walking by your vehicle. This gives a thief an idea that they may follow through with. Make sure that you park your vehicle in a safe area at all times. It is important to stay safe while you are on the road, however, there are some situations that you will encounter that you can only prepare so much for. Hydroplaning is one of these instances. When a lot of water accumulates on the road and you hit the area with your vehicle, your vehicle can lose its grip on the road. This causes your vehicle to actually skim over that area of the road. 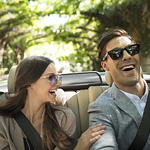 Buying a used car can be as simple as saying yes but buying a used car at a good price may take some effort. The effort is worthwhile when you get the vehicle at a good price. Negotiation is an important step. Westminster drivers know that getting the best price depends on doing one's homework in advance. If you can't afford to pay for a vehicle in full, you always have the option to finance. However, that requires you to have a good credit score. We want you to make an informed purchasing decision that you're comfortable with, so here are some tips on how you can raise your credit score to get proper financing.